Explore rhythm, notation, technique, and musicianship! These three books cover it all! Use this thorough and balanced exploration to fine tune your timing and sight reading abilities. The practical approach used is aimed at both beginners and advanced players. Under development: I use the following method books with my private lessons. They are all pretty much complete but in rough draft format. I plan to finalize them and release them within the next few years. Focus on types of fills with an improvisational goal. 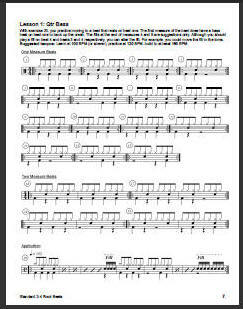 Progressive applied double bass grooves. 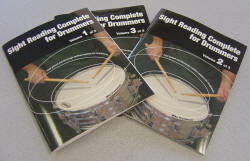 "Play-drums: Drum Books for sale (buy snare, drum set, and percussion books)"